the 21st edition of the European Grand Prix tournament on Belgian soil took place on Saturday 27th and Sunday 28th of July. 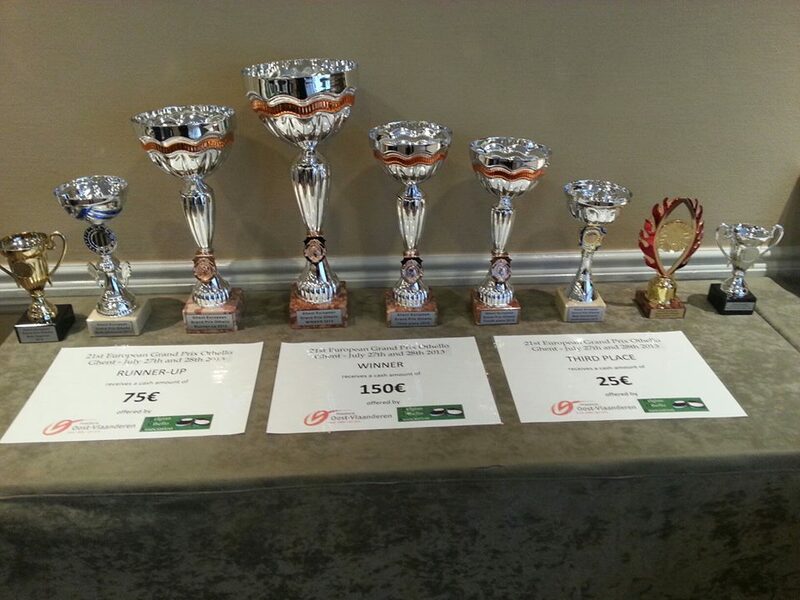 The tournament is part of the Belgian Grand Prix 2013, but also the foreigners Grand Prix 2013. 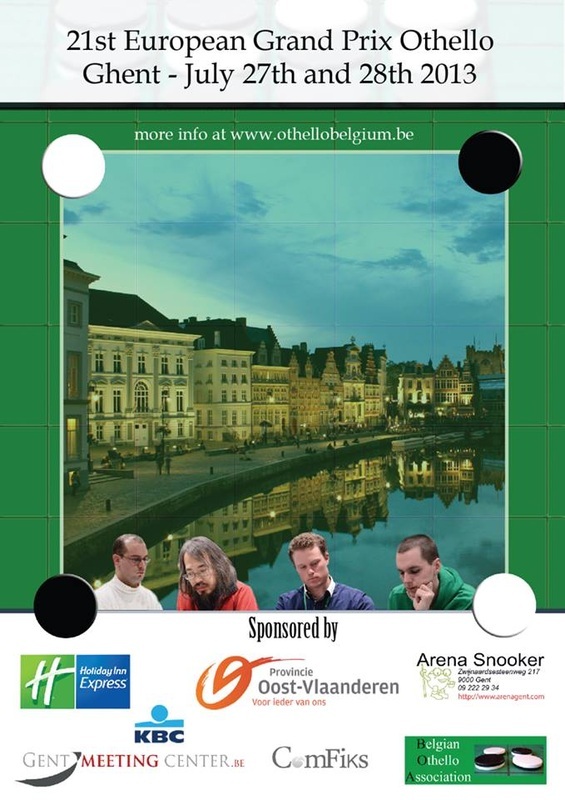 This tournament will count for the World Othello Rating and Belgian DAN system. 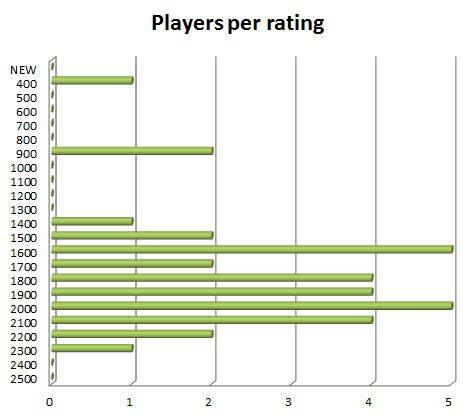 11 rounds Swiss system (every one plays as much as possible against players with the same number of wins). The time is set to 25 minutes per player per game On Saturday 7 rounds will be played, on Sunday 4 rounds. The two best players play in the final and there will also be a play-off for third and fourth place. Othello News sends its editor to Ghent, as she will be busy playing, news updates may take some time. 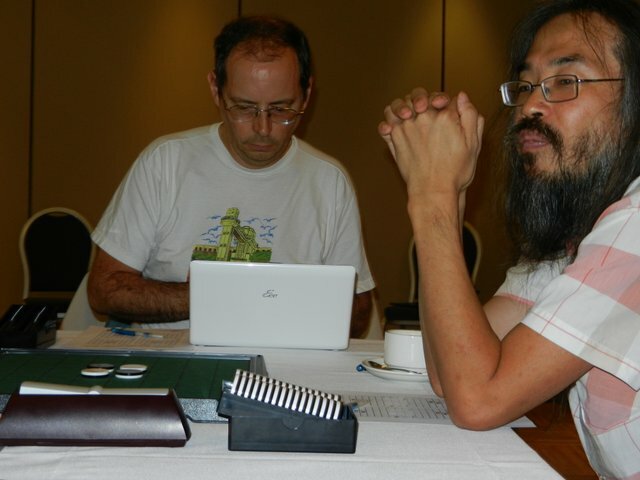 Takuji Kashiwabara and Martin Ødegård both have 6 points, There are five players with each 5 points, among them EGP 2013 topscorer Francesco Marconi. 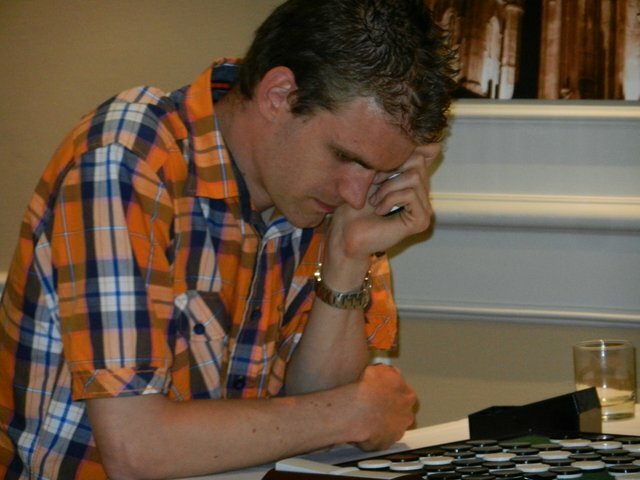 The other players with 5 points are: Nicky van den Biggelaar, Armaud Delaunay, Lari Pihajapuro and Nick Reunes. The first day of the tournament was really very nice. Lots of exciting games, a wonderful lunch and a great dinner. Tom Schotte really did his best to promote this EGP event and he truly succeeded. Apart from the players you might expect to see at this tourney, also present are Katie and Lari (with their little boy Coby) and my friend from Hong Kong, Kelvin Yang. 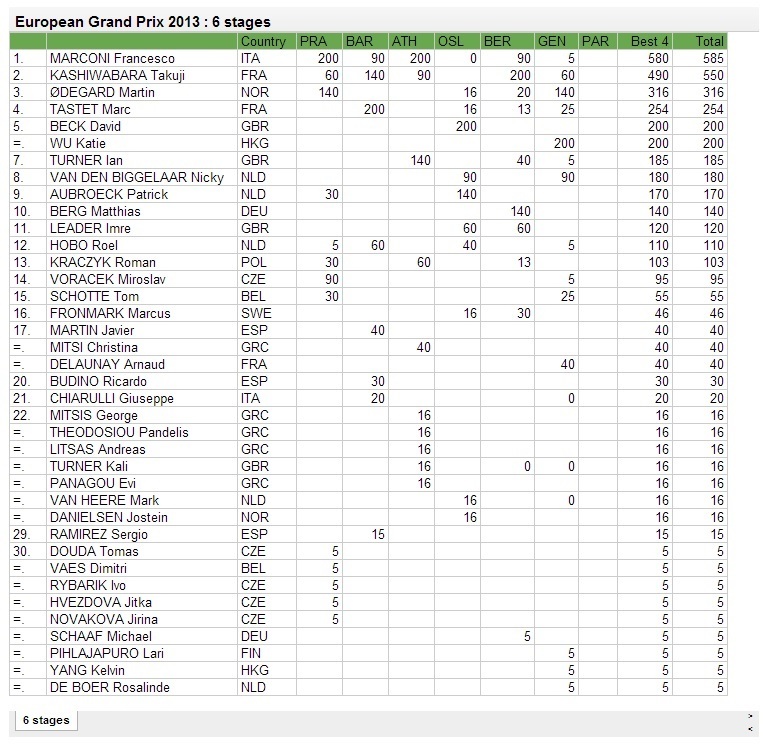 Francesco Marconi leads the 2013 EGP with 580 points after five stages (Prague, Barcelona, Athens, Oslo and Berlin} but Takuji is right behind him with 490 points. 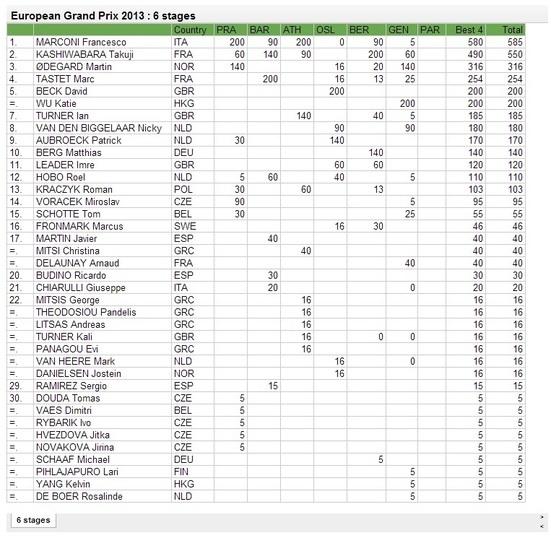 I don't think the EGP 2013 will be decided today, we will have to wait for Paris, August 24 - 25.
standings after 9 rounds: Takuji leads with 8 points, Martin second with 7 points, Katie 3rd with 6.5 points. standings after 10 rounds: Takuji and Martin at 8 points and Katie at 7.5. Nicky, Arnaud and Tom have seven points. Who will make it to the final? It was great to watch the final games and playoff live. I always love to see the headnods and handgestures when the players are counting the discs in the endgame. The two finalist played against each other in round 3 and that was a loss for Katie 15 - 49. Katie kept her cooll after losing final game 1 and stayed very focussed throughout the final. Must have been particularly hard for her, because her cute little son could now and then be heard from the corricor, calling his mamma. 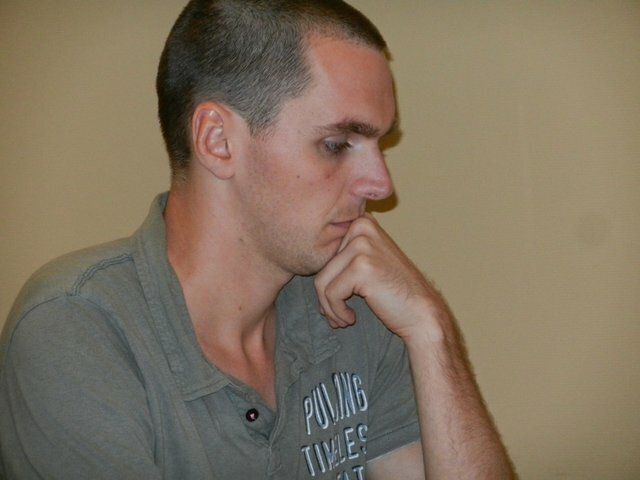 Martin Ødegård had a plane to catch but as he lost game 2, he had to play a third game. It was a thrilling game and Katie had a secure advantage at midgame and when I saw Martin wipe his brow at move 50, I knew he realised there was no way out for him. 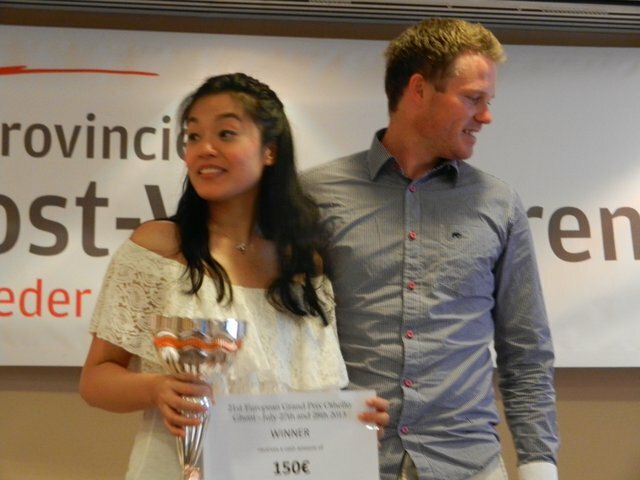 Marc Tastet has all the fact and according to him Katie Wu is the third female player to make it to the final of an European Grand Prix tourney. She was preceded by Velma Fu (Hoorn, Netherlands 2006, lost final against Mariusz Kazimierczuk 2 - 0) and Caroline Odsell (Sweden, Stockholm 2010, lost final against Imre Leader 2- 0). But..... Katie is the first ever female EGP tourney winner. Congrats and well done Katie!!!! 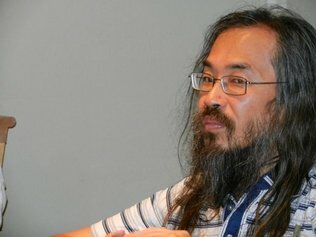 Takuji Kashiwabara - Nicky van den Biggelaar. Takuji choose to win in case of a draw, Nicky choose to play black. It was a very close game but Nicky won with 33 - 31. They played against each other in round 6 and Nicky lost that game 21 - 43. As a lot of players had to travel back early, the award ceremony for all players but the top 2 took place during final game 3 in the tourney room. So as not to disturb the finalists, it was a funny ceremony of hushed whispers and muffled applauses. 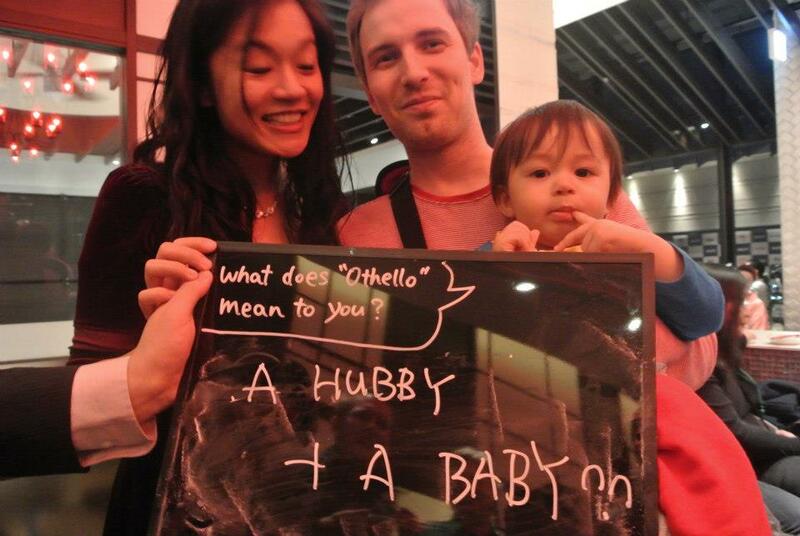 What does "Othello" mean to you? Katie wrote at OWC, "A hubby and a baby"